Our story is simple. Red is the colour most associated with success and 90 is the number of seconds it takes for a human brain to create an association with a brand. RedNinety offers strategic, intelligent thinking, ideas, insight and creative direction to help you tell your brand story. We want our clients to succeed and we want your clients to love your brand. Your brand name and identity are as important as what you do. Create the right impression from the outset. Business cards, leaflets, flyers & posters that you feel proud to hand out and that make people say “wow”. How to say what you want to say whether it’s on your website, blog, social media or the way in which you talk about your company to others. Proposal & presentation research, preparation, coaching & ghost writing to help you impress your clients and win new business. Know your market and your consumer to target your sales most effectively and get ahead of the curve. to keep your business dynamic and exciting. We work as a conglomerate of independent freelancers and small companies. This has many advantages for our clients including flexibility, low overheads, honest pricing, true expertise, attention to detail and fresh, imaginative thinking. 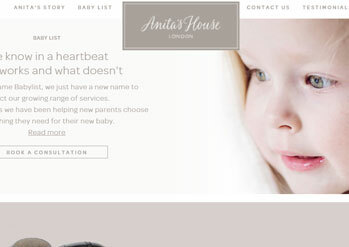 Babylist has recently changed its name to Anita’s House. This is in line with their growth strategy and reflects the expanding range of new own-label products and services on offer to their clients. 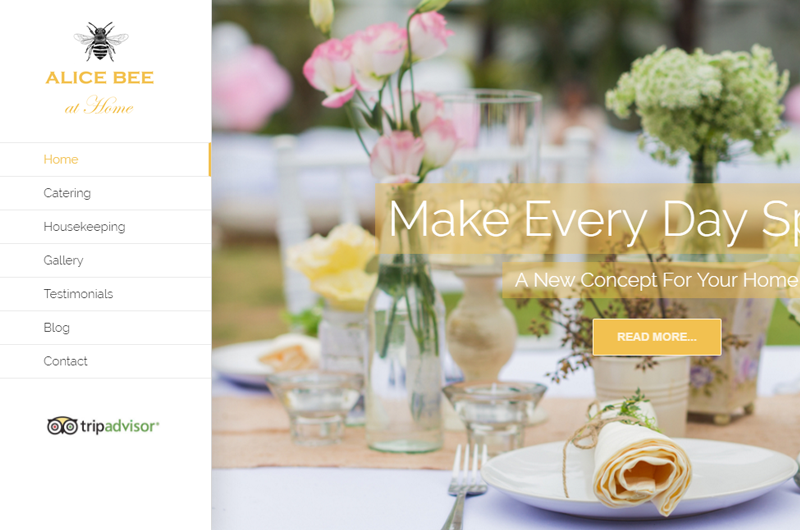 Anita’s House required a whole new identity and collateral including a new website. Together with a branding agency, we shaped the new business and developed an identity that would work across two contexts: luxury and baby. Our key role was developing all of the copy for the new website, including creating a tone of voice that would complement the new branding. 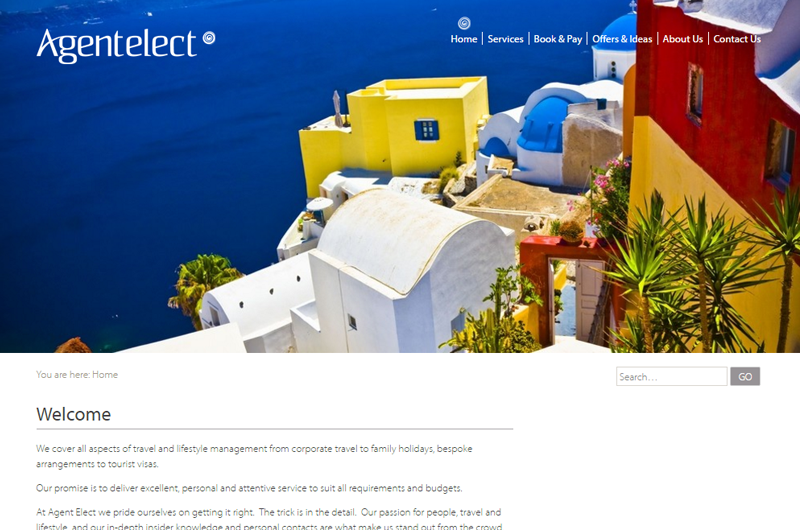 Agent Elect was a new Dubai-based travel business in a saturated market. They were keen to stand out from the crowd and wanted an impactful and beautiful identity and website that would advertise their passion for travel, attention to detail and personal service. They had asked a branding agency to develop a logo, but needed help translating their name and logo into an identity. This involved developing a tone of voice and guidelines for imagery across their collateral. 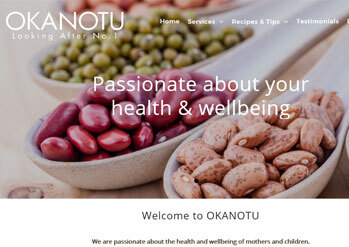 Critical to the success of the website was organising their multiple service offerings into a clear and user-friendly customer interface. 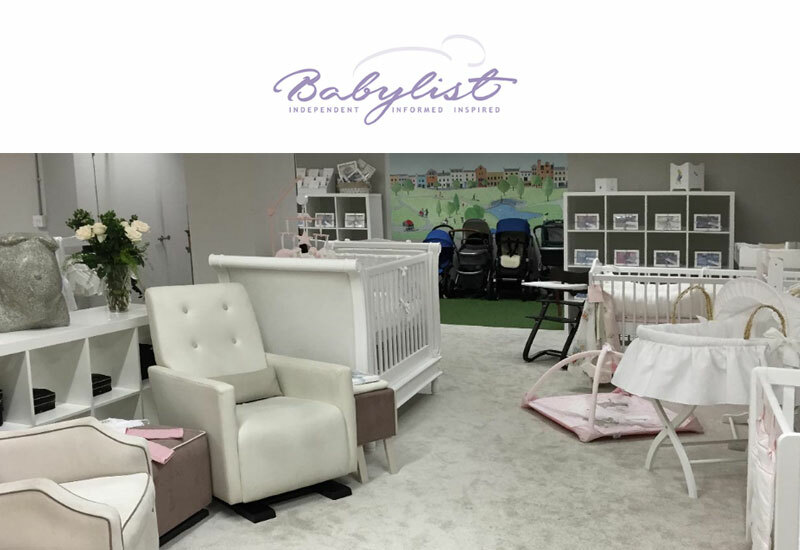 Babylist needed advice on branding, positioning, imagery and external communications to launch their new own-label range of baby clothes and accessories. They also needed a facelift for their existing collateral to ensure that both were aligned. We wrote and produced press releases and press packs for PR, developed advertising materials and worked on upgrading outdated collateral. We also helped to design a new membership services programme to further promote their unique service offer. This involved developing the structure of the membership offer and creating communications and collateral to promote buy-in. Lara worked in telecoms in Nigeria but had a pharmaceutical background. Friends and colleagues would approach her all the time asking for advice on common ailments and nutrition for children. When a friend suggested she set up her own business she didn’t know where to start. We helped her to come up with a name and tag line, using local Nigerian dialects as inspiration. We then worked with her to create a simple business structure that she could manage from home but with the scope to expand. We helped to bring the business to life with a simple yet informative website, brochure and business cards, keeping the imagery soft and approachable. We worked carefully with Lara and other Nigerian contacts to ensure that all cultural references were suitable, correct and as impactful as possible. Alice had a passion for crockery and cleaning. Trained as an accountant, she knew she could make a business out of her interests, but wasn’t sure how to make them work together. We took her away from the crockery catalogues and suggested a Housekeeping company, offering not only cleaning, but home maintenance services (fridge defrosting, cleaning filters on domestic appliances etc.) and home cooking which could stretch to dinner parties and private functions. Her crockery collection is now available for hire through her business for special events. Alice Bee is an identity that acknowledges the personal service she offers through the use of her first name and is also a reference to her late Father’s name which began with a “B”. Her staff are now affectionately referred to as her “bees” who buzz around her clients homes and work hard to make a difference. 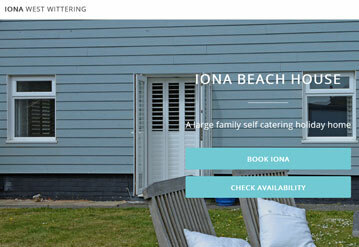 Iona is a holiday rental house in West Wittering. The owners wanted to update the website to make it mobile friendly and reflect the various improvements they had made to the house. Original images of the house were outdated, dark and uninviting. We directed a photoshoot at the property using props and lighting to create a more inviting and luxurious feel. We then advised on content and layout of the website ensuring that important details like availability and booking forms were easy to find. We also spent time researching the local area to focus on the whole holiday experience rather than just the house. HoofbeatZ is an equestrian centre with a difference. 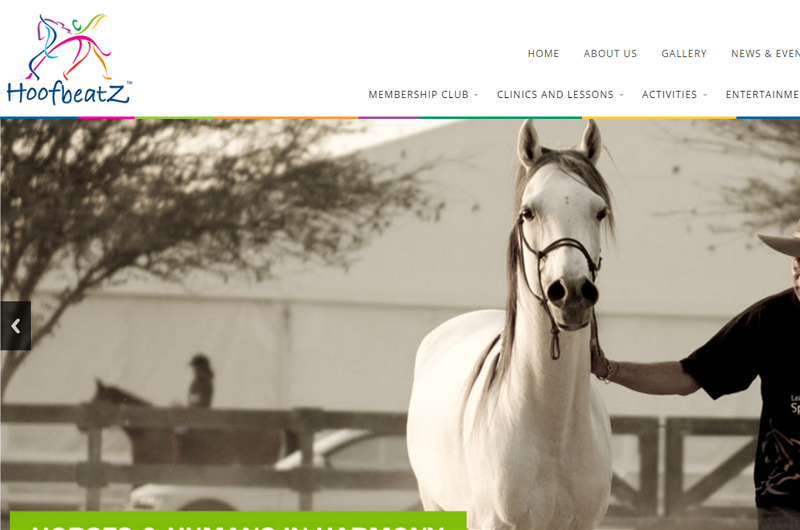 Formed originally as an equestrian performance company (trick riding, theatre and circus), their fun-loving and quirky philosophy became very much a part of their horse-riding lessons, corporate team building activities and after school pony clubs. Limited marketing budgets meant that we had to think out of the box and come up with some creative strategies to generate business. This included creating feature articles for local press, running competitions in magazines in return for advertising space and sponsoring local community events. A website was desperately needed to detail all the various lessons, corporate activities and entertainment service offers. This involved sourcing and producing imagery, organising all the data into a clear web-map and briefing web designers based in Pakistan.